unReal is a new Room Escape game where you are locked in fancy, and heavily locked hi-tech apartment. 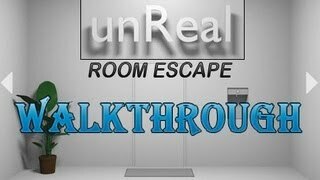 Read more details for unReal and watch the Full Video Walkthrough for unReal - new room escape game. Locked inside unReal but highly secured apartment, the only thing left to do is to find your way out of it. Below watch the full video walkthrough for this New Room Escape game known as unReal. Have fun!